Bathroom Renovations can be a daunting task for anyone. If you are also worried about how you will get into the bath or use the shower safely, it can begin to seem like too much to deal with. In North America today, over 80% of people aged over 45 are choosing to stay in their own homes rather than move into assisted living facilities. This means it is becoming more important than ever to think about accessible bathrooms and how to make the process of renovating as painless as possible. It’s something that we think about a lot at Orca Healthcare. 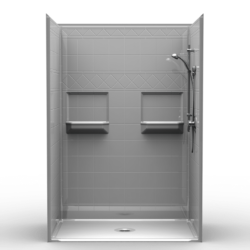 So, what are the most important things to consider when starting your accessible bathroom renovation? 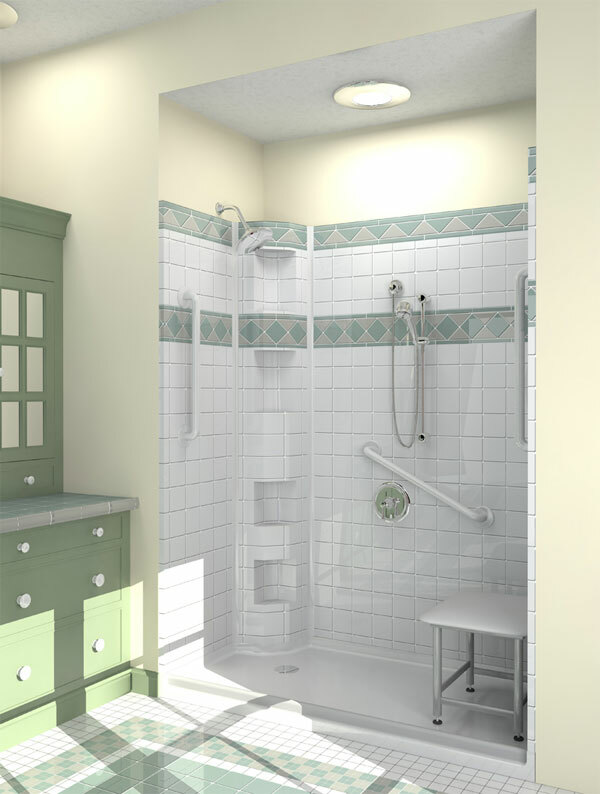 One of the biggest concerns for people wanting to install an accessible bathroom is that ‘nursing home feeling’. You want your home to feel like your home and not a hospital ward. To combat this, we have put together a huge range of tiling and comprehensive colour charts. You can even pick something from your local paint shop to perfectly match the rest of your décor. Bathroom renovation dilemma number two is durability. You only want to do this once. The Orca Healthcare team is dedicated to providing accessible bathroom products that are in it for the long haul. Everything from our shower Water Stoppers to our full walk-in bath installations will be safe and functional for years to come. The final thing you need when choosing an accessible bathroom installer is speed and convenience. There is nothing worse than embarking upon a bathroom renovation and having late or messy contractors, hidden costs or slow delivery. 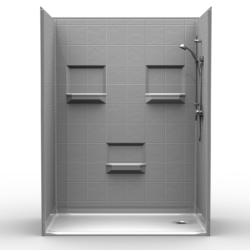 No matter where you live in North America, we can have your accessible shower ready to ship in just one working day and you don’t have to lift a finger. Locally here in the Vancouver lower mainland, Vancouver Island and the Okanagan our team of installers will stay out of your way and as soon as they’re done you can jump straight into a relaxing bath. No dust or debris to clean up. Next Next post: Handicapped Showers : Need it Now ?